Throughout our 35 year history, Service Graphics has been working with our valued customers offering full service printing needs such as art, design, pre-press, printing and bindery. We are pleased to provide single source responsibility by having the ability to manufacture a print project from start to finish. Our experienced staff and state of the art equipment enable us to provide the resources needed to create, produce and deliver a quality print project that your company will be proud of. 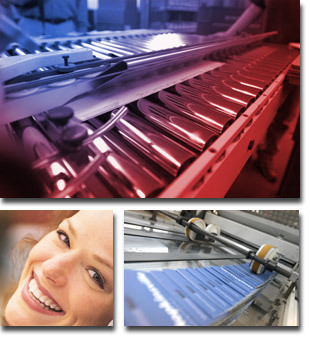 Service Graphics understands that the printed image you express is very critical. We also know that cost and turn around time are of equal importance. Our goal is to address all of your concerns and work with you to create a solution. Our clients range from Fortune 500 companies to small businesses just getting off of the ground. Our relationships with these clients are what have created and maintained our success. Providing quality printing at an affordable price with excellent service has led us to prevail in the commercial printing industry.